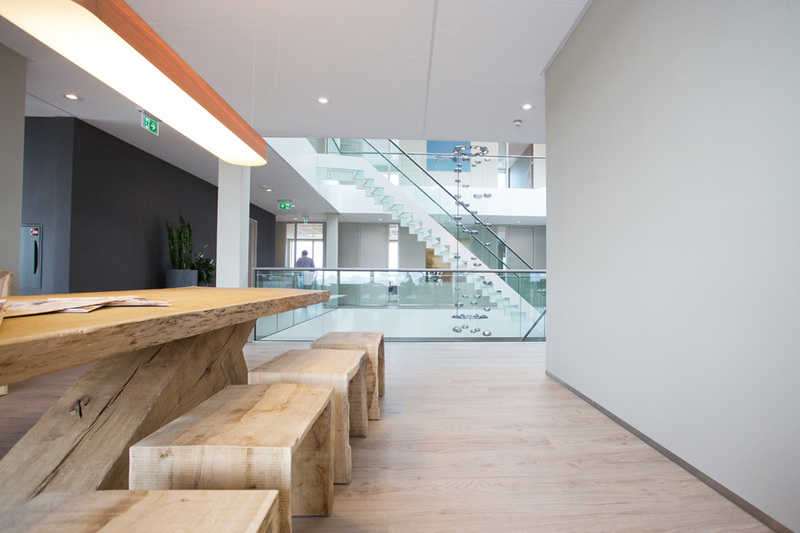 Holland’s Stol Architecten devised a monolithic five-story building with a glass podium for the new headquarters of the consultants at Limes International. 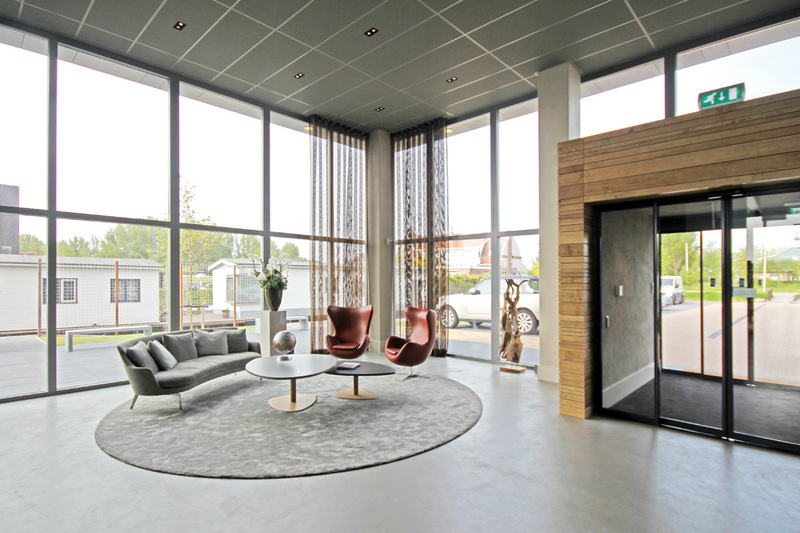 The purist standalone building may seem compact from the outside, but on the inside the key element is a feeling of openness: the atrium and the glass staircases, created by EeStairs, double up as an eye-catching feature and staff meeting point. Offices and conference rooms are grouped round the central lobby, connected on each story by an area that encourages people to stop and chat. When designing the staircase for the atrium the architects sought not only to ensure efficient routes inside the building, but also to foster chance encounters. Limes International advises its clients among other things on international fiscal law. This subject means that staff often deal with confidential information and therefore need to work behind closed doors. 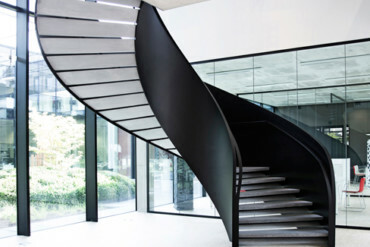 So, to ensure there is plenty of interaction between colleagues, the building boasts an open atrium with elaborately designed stairs. 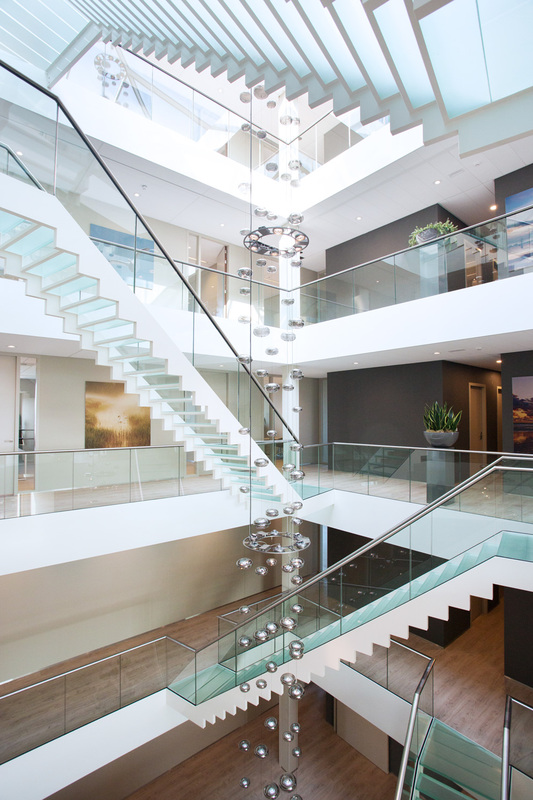 The glass roof enables daylight reaches even the lower floors bringing the frosted glass of the staircases to life, and give the atrium a truly dazzling touch. The balustrades are also made of glass, giving the feeling that the entire structure seems to be as light as air, rising up in the atrium like a work of art. An extraordinary light installation provides another focal point in the atrium; the over-sized hanging design is made of shimmering silver spheres suspended from the middle of the glass roof and extends down to the ground floor. 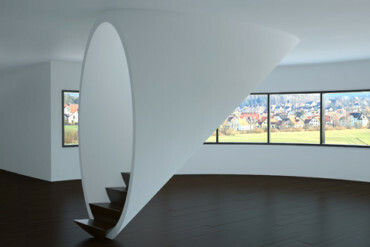 “The staircases for the Limes International project have been carefully positioned to frame a statement light feature. 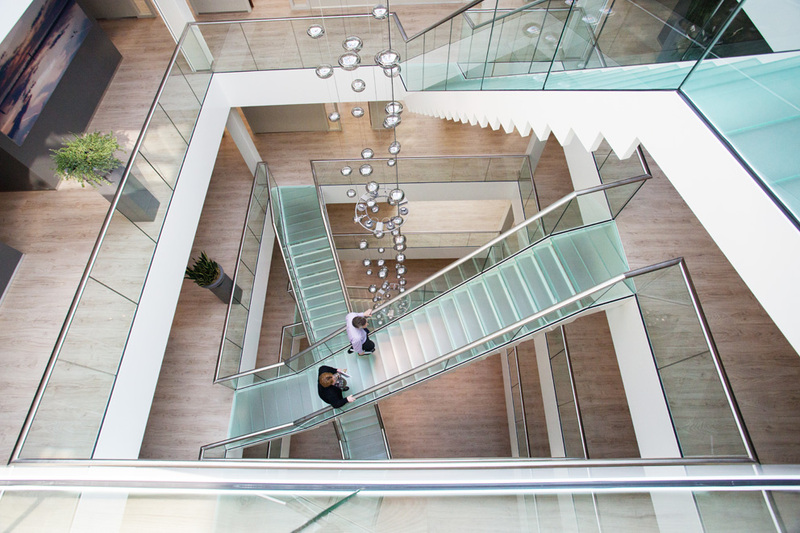 The combination of the cascading light feature and the staircases add to the feeling of buoyancy that the building exudes resulting in an exceptional interior“, explains Cornelis van Vlastuin, Creative Director at EeStairs. With vast experience, gained from completing projects around the world, EeStairs not only contributed the technical expertise, but also worked hand in hand with the architects to realise a coherent spatial concept. 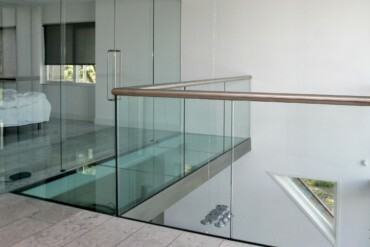 For example, the balustrades and handrails blend seamlessly with the interior design of the balcony areas. 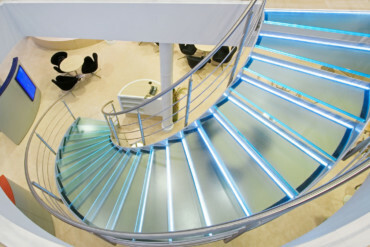 These staircases also fulfil a functional purpose, inviting users to take their time enjoying the walk up the stairs, providing a place where staff members meet and can chat while moving between floors. 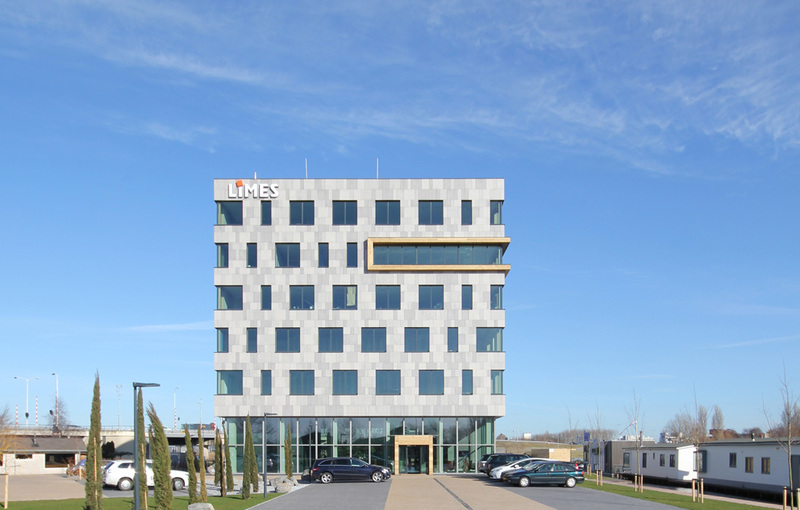 The Limes International headquarters is located in Valkenburg in south Holland. Photo © STOL architecten. The foyer with its wraparound glass frontage is flooded with light and the lounge areas make for very comfortable seating. Photo © STOL architecten.